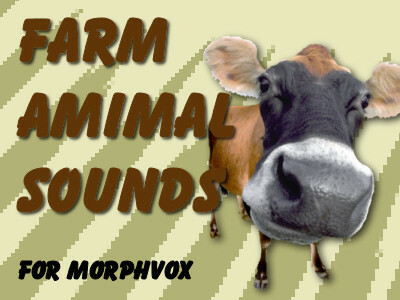 The Farm Animal Sounds add-on has been released. This sound effects pack includes 11 new barnyard animal sounds that are sure to entertain and amuse your friends over voice chat. This new collection has fun animal sounds including Big Cow Moo, Chicken, Donkey and more. This free MorphVOX voice add-on is easy to download and install.